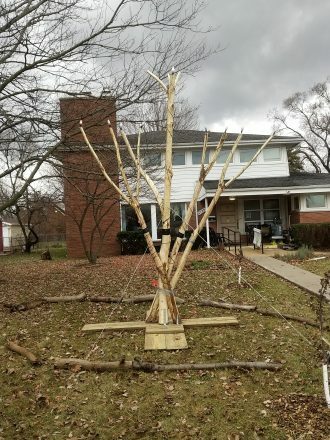 The new public menorah at Jewish Ferndale is made of catalpa branches. Jewish Ferndale’s Public Menorah Promotes Environmental Ideals. David Brown used sustainable materials to construct the menorah. Jewish Ferndale is celebrating Chanukah this year with a new menorah on the front lawn made by David Brown of Detroit. “Last spring, Rabbi [Herschel] Finman said, ‘We’d like a big menorah to go outside made of recycled, reused material,’” Brown recalled. 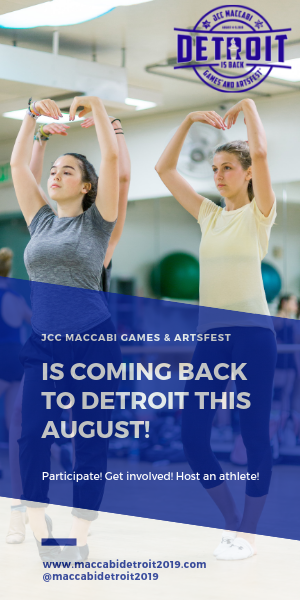 Brown wanted to use natural materials for the menorah, so he did research on the trees on his property in Detroit, where he and his, wife, Sky, run Kibbutz Detropia, a learning center with a decidedly environment-friendly mission. He found catalpa to be the most rot-resistant — and he had plenty to choose from. Carefully selecting branches to form the nine arms of the chanukiah, Brown stripped them of bark and fashioned a menorah from the natural wood. Then he fitted each arm with an energy-efficient LED bulb that flickers realistically like a flame. Brown has worked with catalpa before. 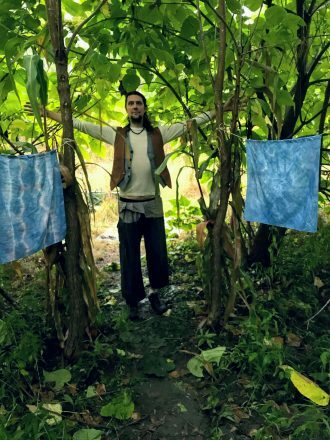 In his woods, he cut back some dense growth, leaving a cleared center, then he wove catalpa branches together to form sukkah out of living catalpa trees. “Look to nature and see what exists and how you can make use of it rather than force nature to fit your needs,” he said. “This is the first large public menorah I’ve made. 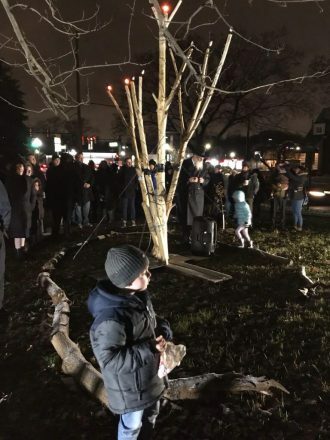 It’s very, very heavy and probably will live there all year long,” said Brown, who has taught art at several synagogues — most notably Shir Tikvah in Troy — where ritual objects have been made with natural materials, such as candlesticks and small chanukiahs out of branches. At a menorah lighting at Jewish Ferndale, Brown also breathed fire for the crowd. Hazon’s Topsy-Turvy Bus, fueled by used vegetable oil, was there — and Brown had painted the mural inside. He also teaches about the bus and its alternative fuel. 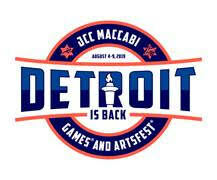 Next up for the Browns and Kibbutz Detropia — tapping maple trees in late winter and teaching about it.